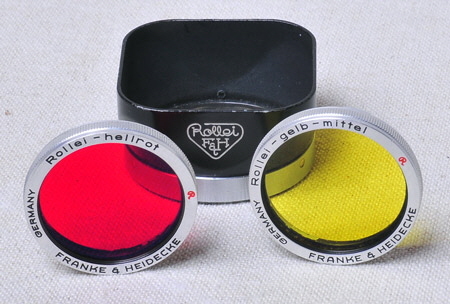 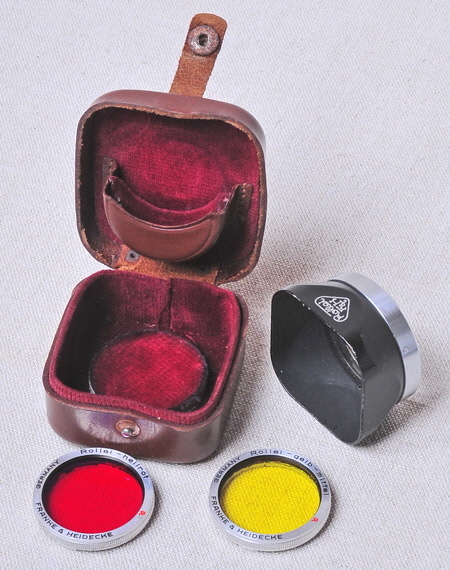 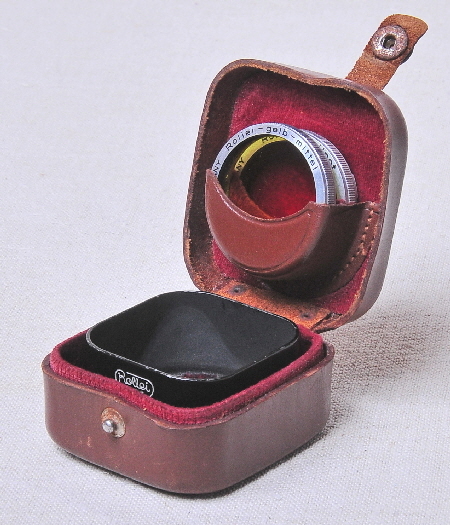 This set of two filters, one red, one yellow, and a Rollei Lens Hood in fitted Original Leather Case, is in good condition. 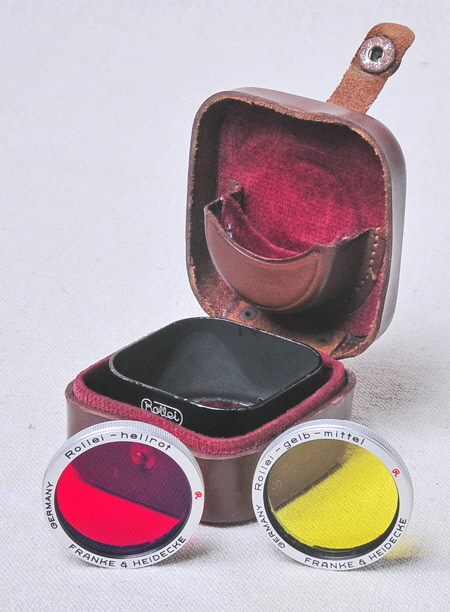 There are some edge chips to the lens hood and some of the black paint is missing from the inner edge of the yellow filter. 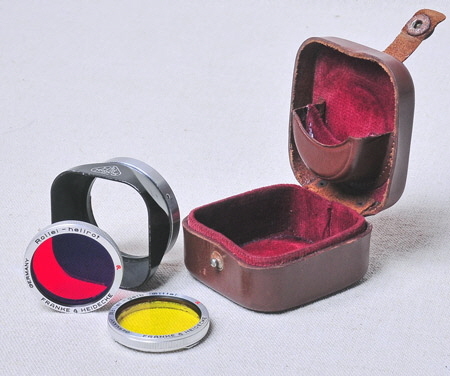 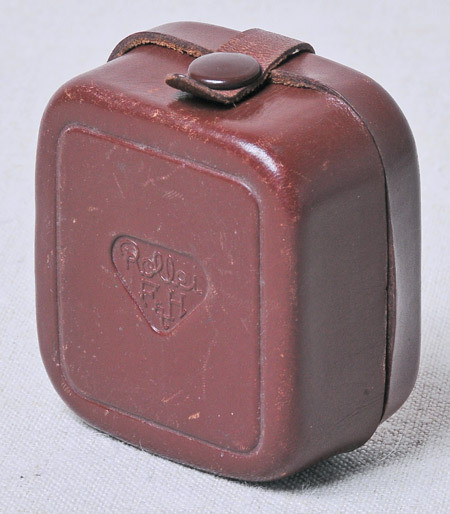 The case is fine and undamaged with just a little wear as shown.